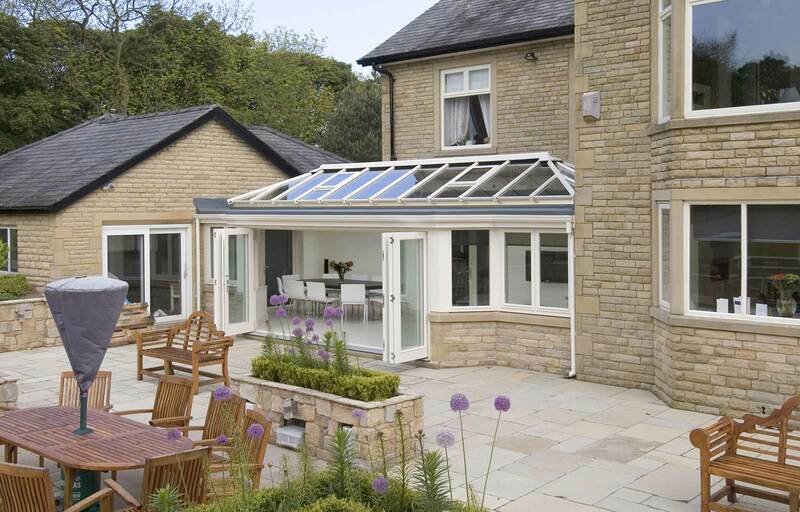 uPVC bi-fold doors are designed to fold neatly away upon opening, allowing you to enjoy maximum accessibility. Consisting of slim sightlines and a highly contemporary look, bi-fold doors have proven themselves to be a stylish addition to any home. These doors utilise the very best in modern design, allowing you to enjoy the very best in performance and design. Comprising of an incredibly intelligent design, 90% of the door aperture folds away upon opening. This not only allows for a seamless connection to your garden or interior room, it also ensure a clean and tidy appearance. 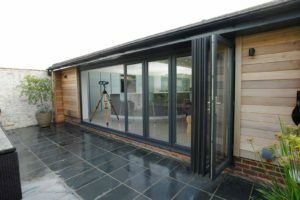 Available in a range of panel numbers and opening configurations, bi-fold doors can be easily tailored to suit any home. This means that matter your property style, we can easily accommodate for a perfect fit. Featuring patented Glass Fibre Linktrusion and high security locking systems, our uPVC bi-fold doors feature exceptional standards of security for you to benefit from. Enjoy the peace of mind that your family and property are safe. With an A* CERTASS rating for thermal efficiency, our uPVC bi-fold doors utilise thermal inserts to trap in pockets of warm air. This allows you to enjoy reduced heating bills and a reduced carbon footprint whilst still benefiting from a warmer home. Our uPVC bi-fold door range features the Traditional 2500 uPVC profile from Deceuninck. 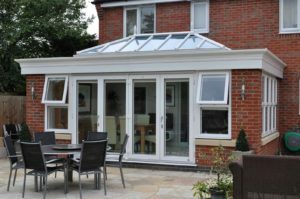 This profile upholds a design that is fully in keeping with modern demands, achieving exceptional standards of thermal efficiency, weatherproofing and durability. With Discount Windows, you can also enjoy a high quality range of bi-fold doors from Synseal. This outstanding design features a thermally broken frame for enhanced thermal efficiency, whilst offering a CE marked 10 year guarantee for quality that lasts. You can also choose from a wide range of colour options, including dual colour choices that allow you to decorate both the interior and exterior of your property simultaneously. We also offer a range of profile options, including chamfered of sculptured, to get a beautifully subtle finish. 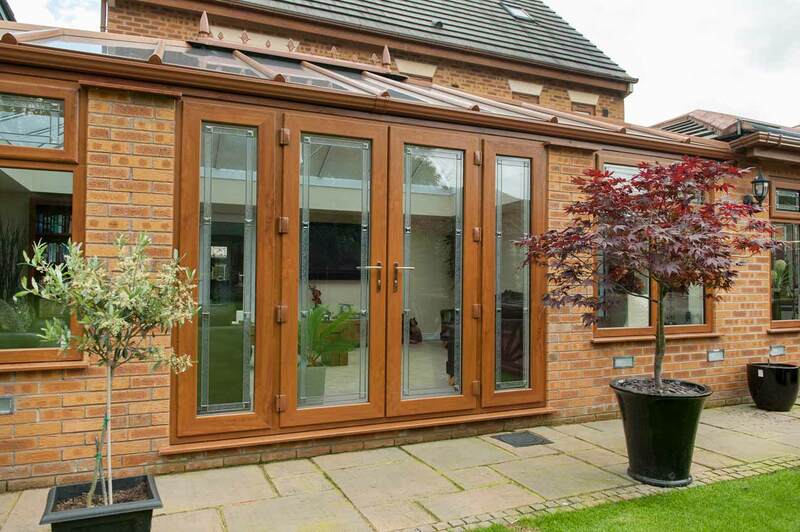 Find your perfect uPVC bi-fold door look with our high quality range of 18 different colours. This choice from Colour Express allows you to tailor your bi-fold doors to match both your home aesthetic and personal preferences with precision. It’s never been easier to find your perfect bi-fold doors. All colours are also accompanied with matching cills and trims to ensure you get an aesthetic that is high quality and consistent. Get in touch with us via our online quoting engine to get an instant, free and competitive uPVC bi-fold door quote. We’ll tailor your price to your requirements. You can also get in touch with us via our online contact form, a member of our friendly team will be more than happy to answer any questions you may have regarding our products and services.